It’s summer now, but fall will be upon us soon enough, and with it cooler weather. Shooting in the cold—whether you’re a hunter or target shooter, or just enjoy going to the range—is a different matter from shooting when temperatures are comfortable enough for you to wear shorts and tennis shoes to the range. 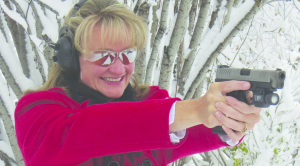 Lynn Sherwood is co-owner and one of the lead instructors for Jackson Hole Shooting Experience and High Caliber Women in Jackson, WY. Sherwood had a long standing fear of guns until one day she realized it wasn’t the gun she was afraid of, but the bad guy behind the gun. That epiphany led her to become an instructor and strong advocate of the shooting sports. Jackson can have freezing weather as late as the middle of May, and as early as the middle of September. That means a lot of cold days of shooting. Learning to deal with low temperatures when you’re shooting outdoors in Jackson isn’t optional; it’s mandatory. When Sherwood has students coming in cold weather, she tells them to prepare like they’re doing anything else in the cold: dress in layers. Sherwood encourages her students to wear polypropylene thermal underwear during really cold weather. “Using that as an inside layer helps wick moisture away and keep them warm,” she said. Rebecca Bieker, managing member at She’s A Pistol, LLC in Shawnee, KS, encourages her students to wear lightly padded shooters gloves. 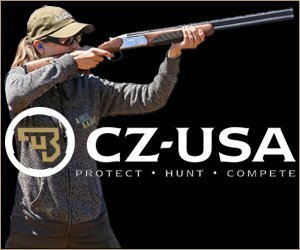 “A lot of our students have noticed that when their hands are cold, recoil hurts more, particularly if they’re shooting larger calibers,” she said. “A little padding in the gloves helps with that.” She said a lot of students keep chemical hand warmers such as HotHands® in their pockets to help keep their hands warm during lessons. Sherwood also briefs her students about other weather issues. “Because of our altitude, we need to protect ourselves with sunscreen even when it’s cool,” she said. When students are ready to head for the range, Sherwood may start more experienced students with warm-up drills. “What we do depends on the shooter,” she said. “If it’s a student getting a pre-hunt lesson, we will have her run from the parking area up the hill to the shooting area, and get her pack off her back. If she can’t get to her sticks, we have her place her gun on her pack. 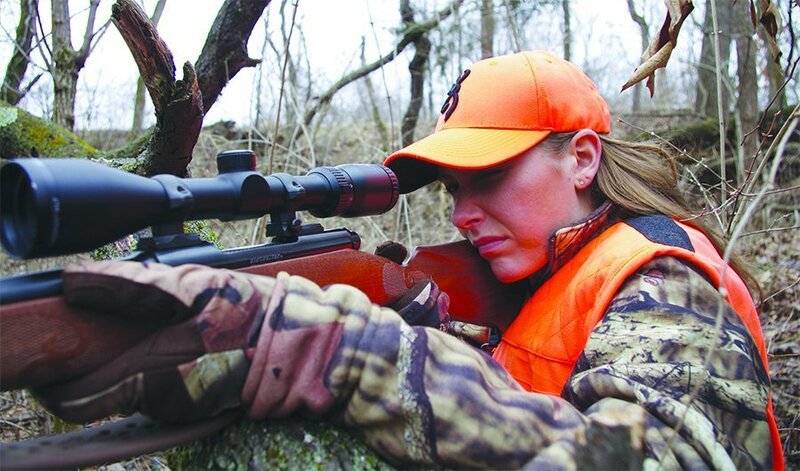 That helps her with breath control as she gets ready to take the shot.” During pre-hunt lessons students continue to move quite a bit during those lessons, which helps keep their body temperature up. The kind of movement Sherwood has students engage in depends on their skill level. Bieker sometimes has students do a little exercise on the range. 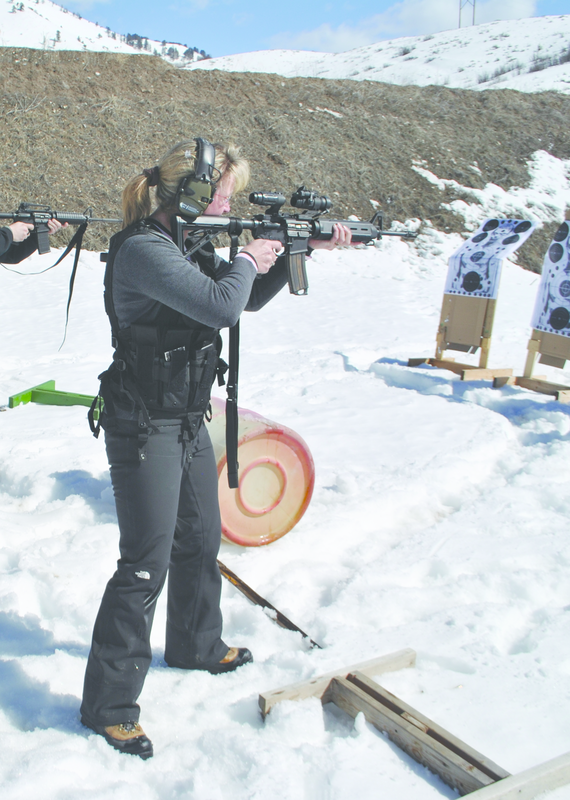 A good bit of what they do at the Jackson Hole Shooting Experience and High Caliber Women, Sherwood said, is what they call a “luxury entertainment shooting experience.” She said this kind of a lesson is an exposure to 16 to 24 different guns during a 3-hour period. Sherwood said their regular students generally don’t reschedule because of the cold unless conditions are really extreme.